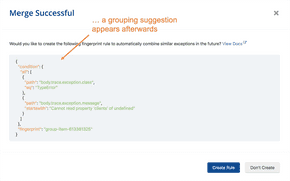 At Rollbar, we use Clubhouse to manage our software projects. 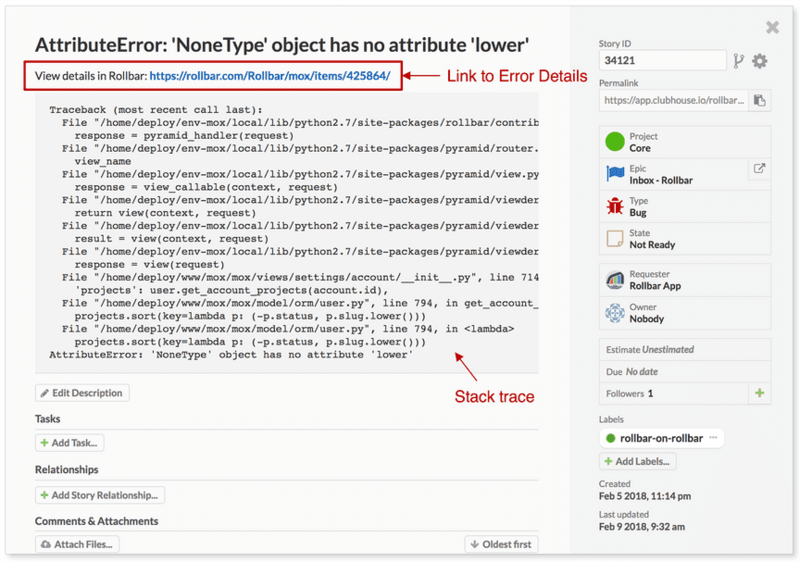 One of the many ways we use it is for tracking issues in product releases. We'd have an epic in Clubhouse for each release, and create stories for bugs associated with the release that we need to fix. This is especially useful when we're working on service packs. 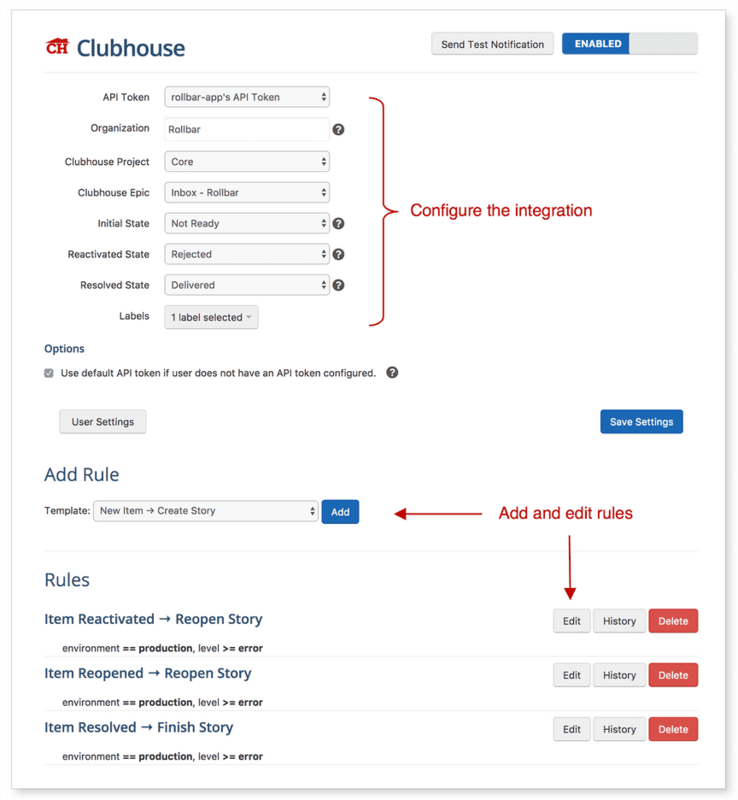 To get started, check out this integration guide from Clubhouse. Let us know if you have any questions, or tell us what you think!